The glorious story of the life and ministry of Jesus is powerfully portrayed in this edition of The Revolutionary: Epic Version, which combines The Revolutionary Parts I and II, with new additional footage. From His birth to His death and ascension, you will retrace Jesus' footsteps and see His miracles and ministry depicted as never before on film. 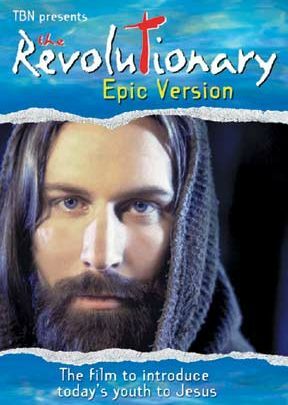 Shot entirely on location in Israel, this epic version of The Revolutionary will take you back, almost 2,000 years, to relive the dramatic events that changed the course of human history -- and mankind's eternal destiny -- forever. This fast-paced film on Jesus, made in high definition technology, shows his life and teaching in a way that arrests the attention of audiences. A good video to overview Christ and the Gospels.